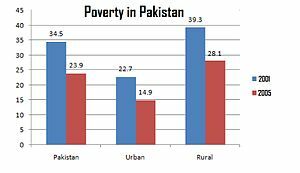 Due to raise in the prices of petroleum products, electricity and natural gas as well as food substance flour, sugar and meat the Poverty Rate in Pakistan is elevated day by day. Besides these factors, there are so many other factors for which Poverty in Pakistan is un controllable . The present Government of Pakistan announced 2011 as the year of citizens. In the 2011-2012 Budget, there is an raise of about 98 percent in the community subdivision growth Programs (PSDP). It is hoped that by growing in the PSDP there will be reduce in the Poverty rate or Poverty row. This entry was posted in POVERTY IN PAKISTAN. Bookmark the permalink.